There are these moments where everything around you seems to move at a rapid pace, while you stand still. Every step you take takes ages, and everything you do an eternity. Perhaps all you need to do to get up to speed again is change direction. Do something different. 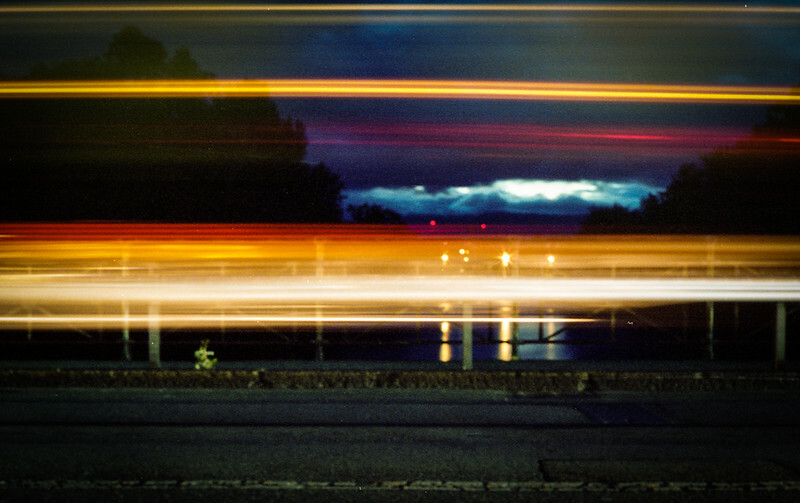 Change…..
25 Aug This entry was written by Bart Kevelham, posted on 25 Aug ’12 at 8:22 pm, filed under City, Photography and tagged Arve, Film, Geneva, long exposure, night, Yashica Electro 35. Bookmark the permalink. Follow any comments here with the RSS feed for this post. Post a comment or leave a trackback: Trackback URL.